In this demanding world we usually don’t get a few months to create an e-Learning course. And our clients (either internal or external) are rapidly getting more knowledgeable on e-learning and they are demanding an increasing role in the process of developing a course. Therefore we need to work faster, more efficient and we need to involve our clients more in the development process. I do believe that all waterfall methods will fail in this and that we need to turn to other methodologies. I believe in the AGILE approach. At easygenerator we develop our software in an Agile way and it works wonders for us (I wrote about this in an earlier post). I also wrote earlier about Agile e-Learning development in a post for the LCBQ. Recently I noticed that more and more people are writing about agile e-Learning development. I picked out some interesting post to give you an overview of what is going on. And with my post on curation and moderation in mind, I will give you a short description of the post so you can decide if it is of interest to you. Don Bolen presented this at DevLearn (I regret I was not able to attend that session). 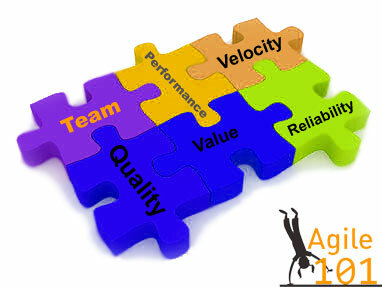 It gives a very complete overview on how to apply the agile approach for e-Learning. Very informative and practical. A great introduction into the agile e-Learning development process. Nice post from The Learning generalist on the disadvantages of ADDIE, how to apply an agile method combined action mapping. A very powerful combination. He has more interesting posts on agile e-Learning development. You should also read his series of post: the design manual. Managing blended learning scenarios by using agile e-Learning development. An article by Michael Tesar and Stefany Sieber on using agile development for blended learning. Includes an interesting reading list. It is an 5 pages pdf you can download. A good post on agile with the emphasis om design and again a combimation with action mapping. Great post by Horald Jarche why agility is the better way. Of course he includes social learning and ‘learning smarter’. He is a member of the Internet Time Alliance after all. A post that explains what agile can do for your planning and comparing it to lego. Interesting post and interesting reading list at the end of the post. If you want to read more, see Tony Karrers blog with links to 27 posts about agile e-Learning development.